Mallow College of Design and Tailoring | Fashion courses in Cork. Mallow College of Design and Tailoring runs intensive courses in Fashion Design, Dressmaking, Pattern Drafting and Millinery. At Mallow College of Design and Tailoring, each student gets individual attention from fully qualified staff. The college was founded by Mary Cashman in 1988. 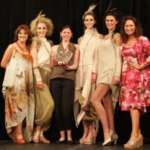 All courses are taught by highly experienced tutors who have worked in the fashion industry for many years. The aim of our courses is to educate and train students in a wide variety of fashion skills. Experience is gained in all aspects of fashion design and production techniques. 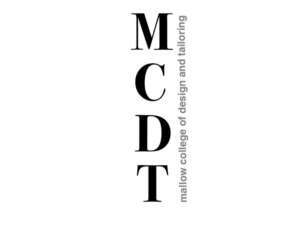 Mallow College of Design and Tailoring is situated in the rural town of Mallow in North Cork. It has easy access by road and rail. The facilities and equipment available to the students provides an excellent training environment. The success of the college is based on its excellent courses and examination results and the quality of employment achieved by its students. Other than a keen interest in fashion and willingness to learn, there are no other pre-requisites to attend the courses. The college aims to cater for students with a range of backgrounds and goals. Student backgrounds range from those who have never sat at a sewing machine before to those who already have experience in pattern drafting and sewing. Students are encouraged to work at their own pace throughout the course and tutors will adapt the content to suit their needs. One Day Intensive course on Hat Making.